le chaudron de vulcain – February 07 , 2019. EN. 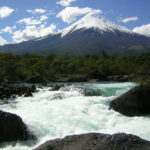 Chile : Puyehue – Cordon Caulle , Japan : Sakurajima ( Caldera of Aira ) , Indonesia : Karangetang , Ecuador : Reventador . Home / aira / February 07 , 2019. EN. 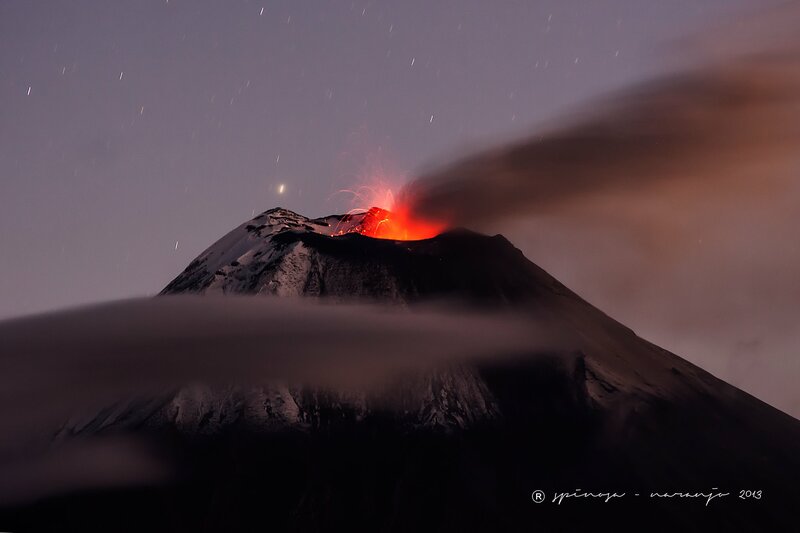 Chile : Puyehue – Cordon Caulle , Japan : Sakurajima ( Caldera of Aira ) , Indonesia : Karangetang , Ecuador : Reventador . During the evaluated period, a total of 474 seismic events were recorded, of which 8 were classified as long-period type (LP), in relation to fluid dynamics within the volcanic edifice. The higher energy event had a reduced displacement value (DRc) equal to 0.2 cm2. Also, 466 volcano-tectonic earthquakes (VT), associated with rock fracturing processes, were recorded. The larger energy event had a local magnitude (ML) equal to M 2.8, and was located below the emission center of 2011, at a depth of 2.7 km. According to the data provided by three GNSS stations, it is observed that the inflationary process reported previously continues, with a slight decrease in its amplitude. The maximum horizontal variation rate recorded by the permanent network is 0.8 cm / month and the vertical rate of 0.9 cm / month for the station closest to the maximum deformation point located north-west of the center of issue of 2011. These sizes are considered important. 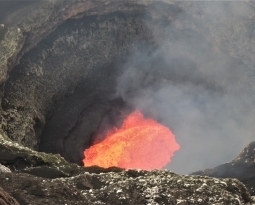 No thermal warnings were reported in the area associated with the volcanic complex during the period, according to the data processed by the mean infrared observation of volcanic activity (MIROVA) (http://www.mirovaweb.it /) and the Temporal Thermal Monitoring of global hot spots (MODVOLC) (http://modis.higp.hawaii.edu/). 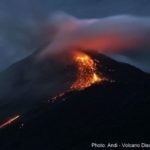 Apart from the amplitude of the inflation process, the seismicity remains at levels considered low and suggest a relative stability of the volcanic system. The Aira caldera in the northern half of Kagoshima Bay contains the post-caldera Sakurajima volcano, one of Japan’s most active. 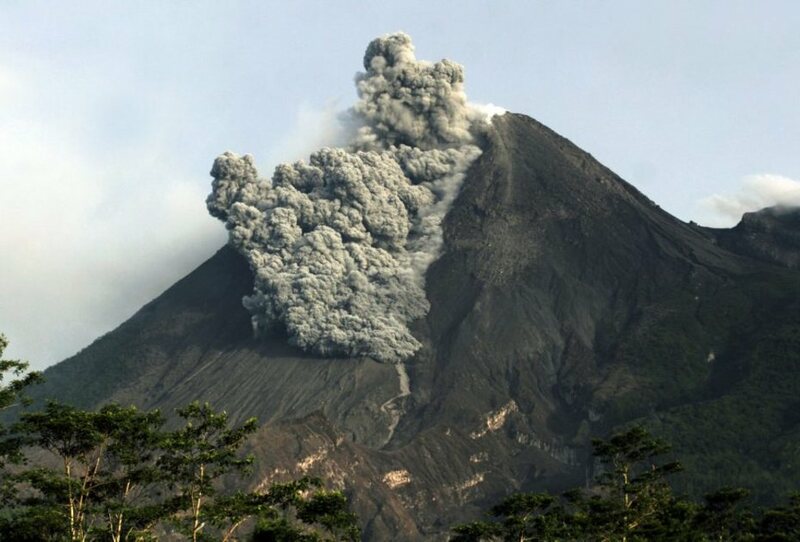 Eruption of the voluminous Ito pyroclastic flow accompanied formation of the 17 x 23 km caldera about 22,000 years ago. The smaller Wakamiko caldera was formed during the early Holocene in the NE corner of the Aira caldera, along with several post-caldera cones. The construction of Sakurajima began about 13,000 years ago on the southern rim of Aira caldera and built an island that was finally joined to the Osumi Peninsula during the major explosive and effusive eruption of 1914. 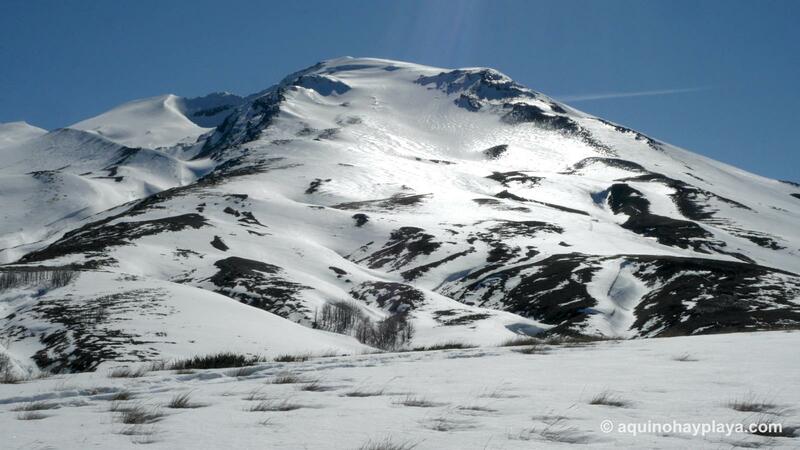 Activity at the Kitadake summit cone ended about 4850 years ago, after which eruptions took place at Minamidake. 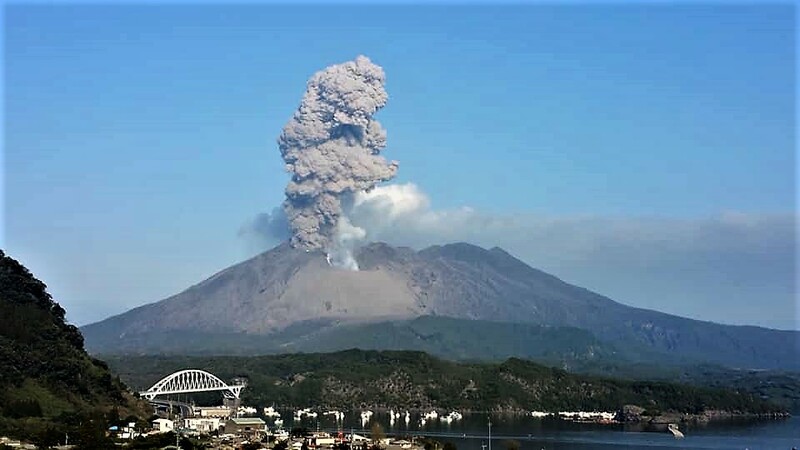 Frequent historical eruptions, recorded since the 8th century, have deposited ash on Kagoshima, one of Kyushu’s largest cities, located across Kagoshima Bay only 8 km from the summit. 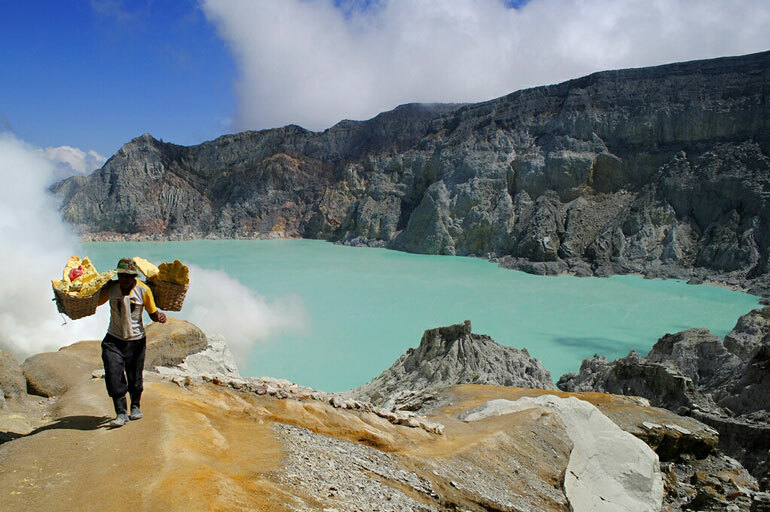 The largest historical eruption took place during 1471-76. Since yesterday and until this morning, the volcano was clearly visible then covered with fog. Smoke from the main crater is not observed. The wind is weak in the northeast and southwest. 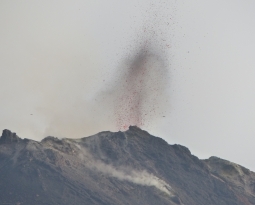 A low to fairly loud roar was heard at the PGA station, which is more than 3,500 meters from the top of Crater II. At the end of the mud flow / lava mixture, evaporation resulted in a thick puff of white smoke. Avalanches on the edges of the lava body often occur, causing brown smoke, sometimes gray / blackish, thick. 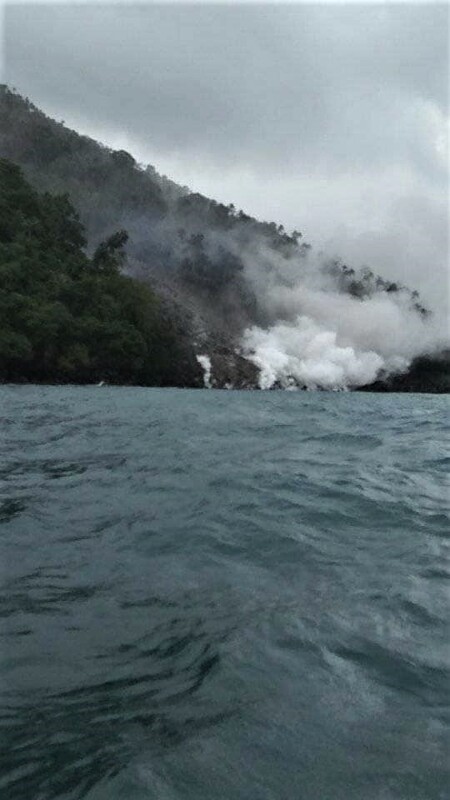 This time, the lava flow reached the sea. Tremor continuous with an amplitude of 0.25 to 4 mm, and a dominant value 1 mm. Rain / lahars: No rain has been reported in the area. Ash Emission / Column: On the night of yesterday, steam, gas and ash emissions were observed at altitudes up to 800 meters above the summit in a northwesterly direction. Other monitoring parameters: No change. 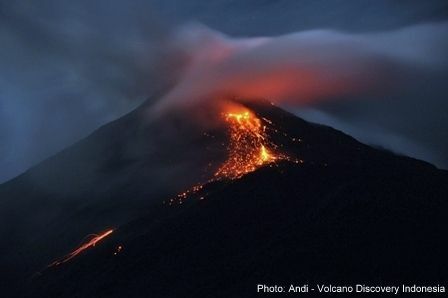 Observations: During the night, an incandescence was observed in the crater and blocks were rolled up to 800 meters under the summit of all sides of the volcano. Most of the time, the area remained cloudy.